Europe Vote Threatens Net Neutrality. Help Save the Open Internet. Tomorrow, the European Parliament will vote on a proposal that will decide the future of the open Internet in Europe. The proposal is supposed to protect net neutrality, the principle that keeps the Internet an open and free platform, but it contains dangerous loopholes that threaten the future of free speech, innovation and democracy in Europe. Wait, didn't we already win network neutrality? While the U.S. did pass robust network neutrality rules this year, the Internet as we know and love it is a global network without traditional borders. So it matters what policies countries beyond our borders adopt because restricting the Internet's openness in one place ultimately will stifle Internet freedom for us as well. Europe is poised to pass a bad net neutrality policy. The proposal allows European Internet service providers (ISPs) to speed up or slow down sites in various ways. Thus, ISPs can still pick winners and losers online -- which will affect us whenever we try to reach or interact with people in Europe, notwithstanding our victory with the FCC. What's more, the proposal permits the infamous fast lanes that we fought hard to get rid of in the U.S. This will make it more expensive for start-ups and small businesses everywhere to reach people in Europe, and will make it harder for those without money -- nonprofits, educators, artists, activists and faith groups -- to be heard by Europeans. Ultimately, it will become more difficult for Europeans and anybody who wants to interact with them to speak, organize and connect online. Almost overnight, tech industry leaders, start-ups, high-profile investors, non-profits and thought leaders organized a powerful movement to save the open Internet in Europe. In an open letter, more than thirty leading start-ups and investors from Europe and the U.S. are demanding that members of Parliament change course and adopt key amendments that would close the loopholes. If passed, the amendments would make the proposal as strong as net neutrality protections adopted in the U.S.
As we write this, members of the European Parliament are meeting in backrooms to decide how they will vote tomorrow. The press isn't reporting on the issue in Europe. Just as in the American experience in winning a net neutrality victory, only a public outcry will make the government change course. If the Parliament hears from us today, we can persuade them to adopt key amendments in the vote on Tuesday. Call members of Parliament between 13:00 and 19:00 CET (8am and 2pm EST) to urge them to adopt the amendments. European digital rights organizations suggest focusing on social democrats, liberals or independent members of Parliament. Spread the word: Talk with your friends, share this call through social media and if you're a journalist, cover the story. Fast lanes. The proposal allows Internet service providers to create online fast lanes that would harm start-ups, small businesses and non-profits in the U.S., Europe and anywhere in the world. Amendments would close the specialized services loophole that makes these fast lanes possible. Zero-rating. 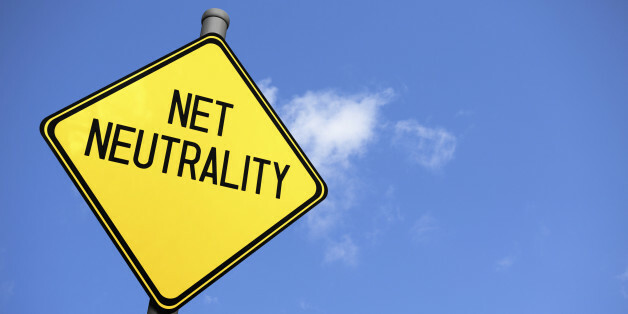 The proposal allows zero-rating, the practice of not counting certain applications against users' monthly bandwidth caps. Like fast lanes, zero-rating hurts competition, innovation and free speech. Amendments would give member states the freedom to adopt stronger rules limiting this harmful practice. Discrimination. The proposal allows ISPs to define classes and speed up or slow down traffic in those classes, even in the absence of congestion. That means that ISPs can discriminate against websites at will. This allows ISPs to distort competition, stifle innovation, effectively harm users and hurt providers who encrypt traffic by putting all encrypted traffic in the slow lane. Amendments would remove ISPs' ability to discriminate between classes of sites and services unless that's necessary to manage congestion or keep their networks secure. Impending Congestion. The proposal also allows ISPs to prevent "impending" congestion, which makes it easy for them to slow down traffic at any time. Amendments would limit that ability. Taken together, these loopholes threaten the open Internet as we know it in Europe and ultimately, the open Internet for everyone. Europeans deserve the same protections we secured in the U.S. If we win net neutrality in Europe, we will have made a bold step to protect the future of Internet freedom in the world. Find a more detailed analysis here. Read why Tim Berners-Lee, inventor of the World Wide Web, is urging the European Parliament to adopt amendments.